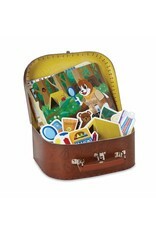 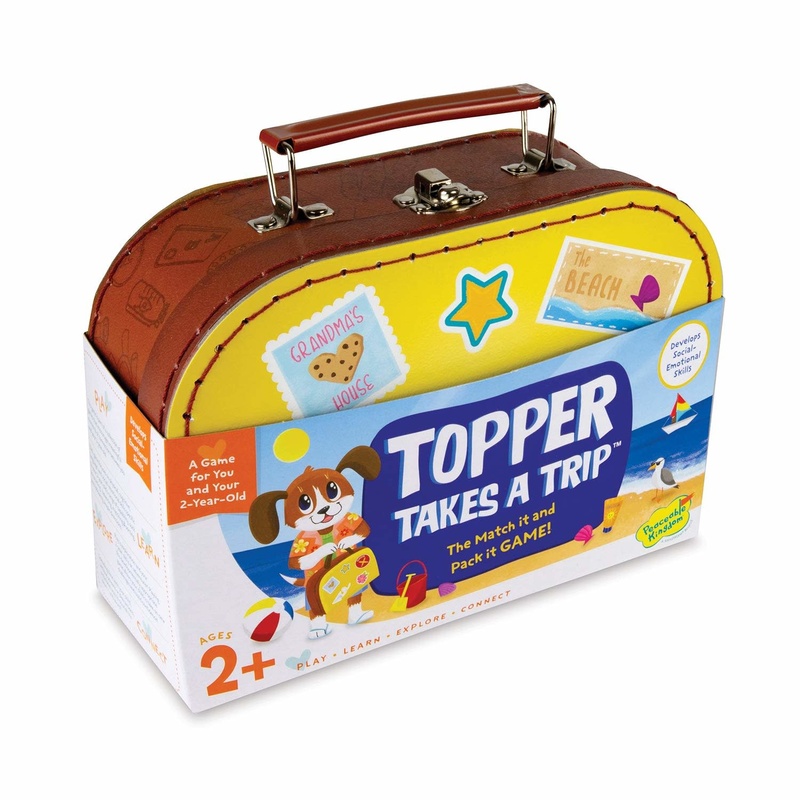 Pack Topper’s suitcase with your little one and take an imaginative trip! 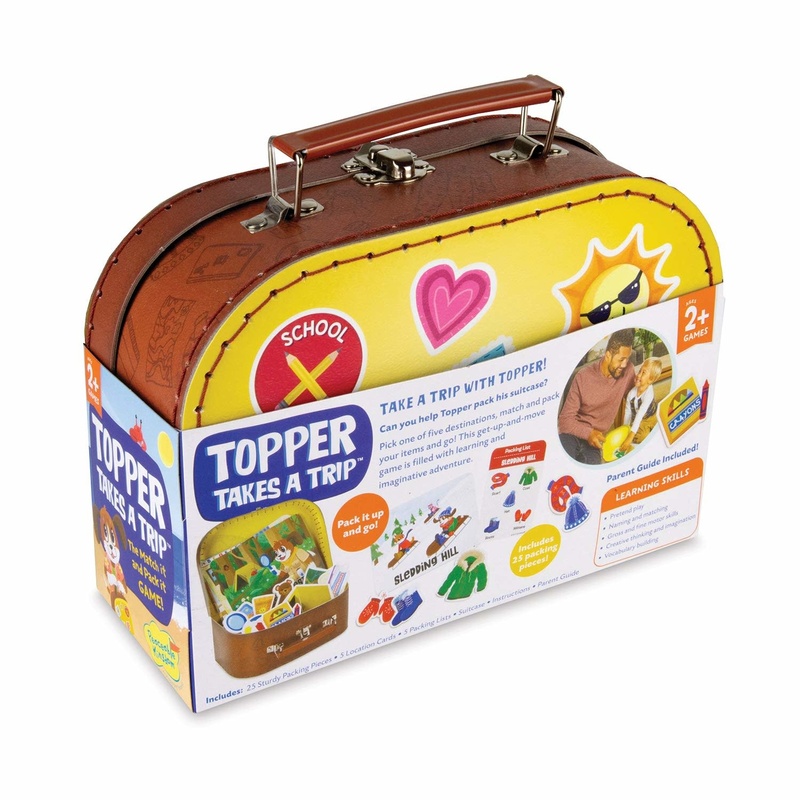 This teaching game is designed specifically for children as young as two years old. 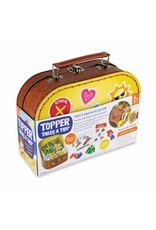 It’s all about learning with no right or wrong way to play. 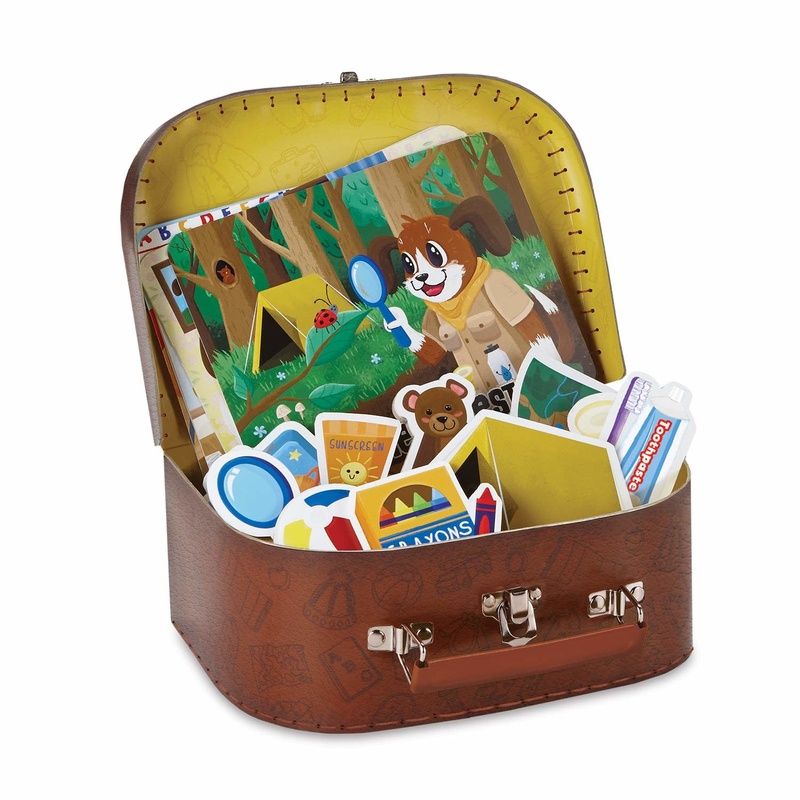 Pick one of the five destinations and pack the suitcase using the packing list. 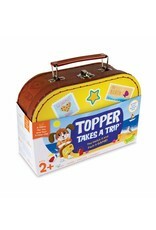 Gets kids choosing, moving, and learning naming and matching in a pretend game of travel.